Archaeologica Hand-picked links to each day’s top stories. Usually about six per day. 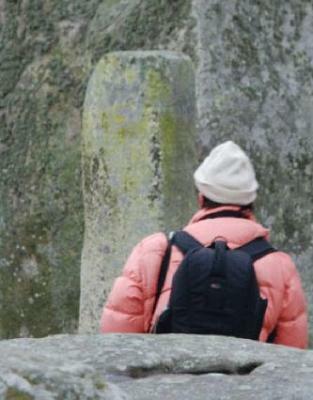 Archaeology Magazine Updated every weekday, a summary with links to about six news stories. National Geographic Ancient World News Brief summaries linked to full stories written by National Geographic reporters. About one story per day. Discovery Channel Brief summaries linked to pages, about one story per day. EurekAlert Public Releases of latest research. About 2 per week. Science Daily Brief summaries and links to full stories by Science Daily reporters. Mixed with Palaeontology stories. One per day. Explorator Links to David Meadow’s weekly newsletters, each containing about 50 links to the week’s stories. Archaeology in Europe Regularly updated with summaries and links. About 20 stories per week, but only Europe. Google Archaeology News. Search results for the last week. Automatically listed, so much irrelevant material. Yahoo Anthropology and Archaeology Automatic news feed with some irrelevant content. The detailed route for the Olympic torch announced today sees the flame visiting more than 50 West Country communities, and passing historic landmarks including Stonehenge and Glastonbury Tor. More than 95 per cent of the population will be within ten miles of the torch as it makes a snaking journey from Cornwall to London’s Olympic Stadium. 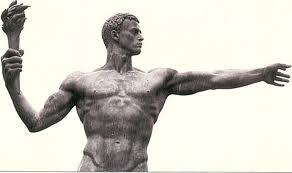 Torchbearers will carry it in relay. On parts of the journey it will go via horseback, bicycle, tram and steam-train. People in Somerset will have plenty of opportunity to see the torch, despite the fact that back in 2009 the Conservative-led County Council refused to bid for it to pass through. Resources portfolio holder Councillor David Huxtable said at the time that the cost in traffic management and disruption would be too high. But the London Organising Committee of the Olympic and Paralympic Games had an ambition to ensure that it reached most people. Many thousands of people are expected to welcome the flame along the route each day and celebrate the achievements of the torchbearers in parks, squares and streets. On May 21 the torch will travel to Porlock, Minehead, Dunster, Carhampton, Washford, Williton and Taunton. May 22: Ilminster, Yeovil, Ilchester, Somerton, Street, Glastonbury, Coxley, Wells, Croscombe, Shepton Mallet, Frome, Southwick, Trowbridge, Bradford-on-Avon, Bath, Bitton, Longwell Green, Hanham, and Bristol. May 23: Flax Bourton, Backwell Farleigh, Backwell West Town, Nailsea, Failand, Leigh Woods, back to Bristol, then on to Chippenham, Calne, Marlborough, Chiseldon, Wroughton, Royal Wootton Bassett, Swindon, Stroud, Painswick, Brockworth, Shurdington and Cheltenham. May 24: Gloucester, Maisemore, Hartpury, Corse and Staunton and on to Ledbury, Bartestree, Lugwardine and Hereford. July 11: Ludgershall, Tidworth, Amesbury, The Winterbournes and Salisbury. July 12: Salisbury, Wilton, Barford St Martin, Fovant, Ludwell, Shaftesbury, Fontmell Magna, Iwerne Minster, Stourpaine, Blandford Forum, Winterborne Whitechurch, Milborne St Andrew, Puddletown, Dorchester, Winterbourne Abbas, Bridport, Chideock, Lyme Regis, Burton Bradstock, Abbotsbury, Portesham, Chickerell, Wyke Regis, Osprey Quay, Portland, Weymouth. July 13: Portland Bill, Southwell, Weston, Easton, Fortuneswell, Weymouth, Preston, Osmington, Winfrith Newburgh, Wool, Corfe Castle, Swanage, Stoborough, and Wareham. 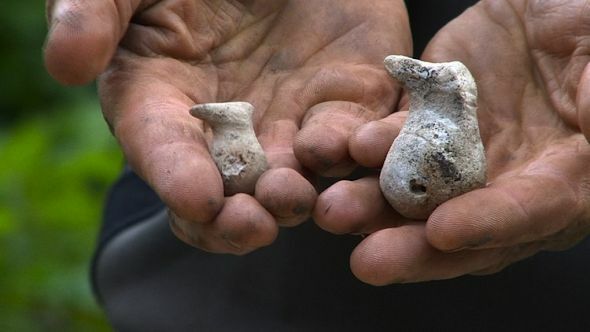 A pair of carved stone ducks unearthed at Vespasian’s Camp near Stonehenge are believed to be the oldest known figurines found in the UK, and are amongst other findings that suggest the sacred site was in use several thousand years before the megalith itself was constructed. Led by archeologist David Jacques at The Open University, several students uncovered a hoard of artifacts from the mid-Stone Age, including a ceremonial dagger, the remains of an aurochs feast, and more than 5,000 flints and tools. “We thought it was probably a mixed cache of early prehistoric tools, and assumed some were contemporary with Stonehenge,” Jacques said in a press release. 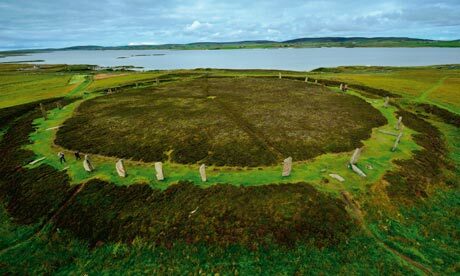 The team found evidence of a fire with over 200 cooked animal bones from at least one aurochs, which were radiocarbon dated back to about 6,250 BC, more than 3,000 years before the giant stone circle was erected. “Mesolithic people were nomadic hunter-gatherers who would have had temporary settlements,” Jacques explained. Now extinct, aurochs were a type of large cattle that once roamed Eurasia and North Africa, reaching almost two meters in height. Meanwhile, the ducks were dated back to 700 BC, and the dagger to around 1,400 BC. The figurines are believed to be part of a Bronze Age tradition based on casting sacrificial offerings into water. 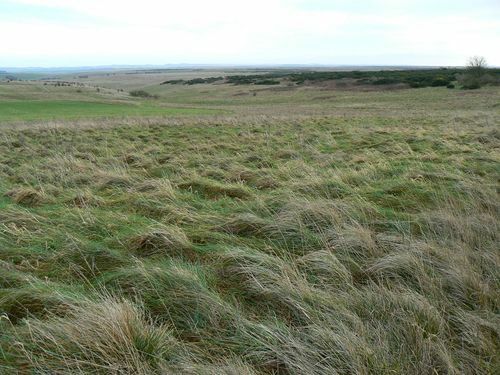 Only a few other Mesolithic artifacts have previously been found in the area. Field archeologist Tom Lyons at Oxford Archaeology East said in the release that the discovery is highly significant. 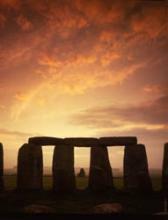 HisTOURies UK – Mystical Landscape, Magical Tours..